North Carolina is a southeastern coastal state with the Atlantic Ocean as its eastern border and the Appalachian Mountains to the west of the state. Home to just over ten million people, North Carolina is well known for its motto, "First in Flight," honoring the Wright Brothers, who flew their first plane in Kitty Hawk. The state's largest city is Charlotte, home of the NFL's Carolina Panthers, and the capital city is Raleigh. North Carolina is a state that has remained relatively on par with national averages in regard to substance abuse, alcohol abuse and dependence, and mental health. The state seems to trend as the nation trends, and based on the 2015 Behavioral Health Barometer, published by the Substance Abuse and Mental Health Services Administration (SAMHSA), North Carolina residents hovered just slightly below the national average in categories for heavy alcohol use and binge drinking among residents aged 21 or older. Although the opioid overdose rate in North Carolina is on the increase, it is not far above the national average of 13.3 deaths per 100,000 people. The National Institute on Drug Abuse (NIDA) reports that in 2016 the opioid overdose rate in North Carolina was at 15.4 deaths per 100,000, which is the highest it has ever been for the state. Additionally, NIDA reports that medical providers wrote 86.8 opioid prescriptions for every 100 people in the previous year of 2015, a rate which was well above the national average of 70.0 prescriptions per 100 people. The 2015 Treatment Episode Data Set (TEDS) shows that heroin or other opioids were the primary drug of abuse for nearly ten thousand people entering treatment. In the same year, alcohol was the primary substance of abuse in just over 8,200 admissions, and as the secondary substance of abuse in almost 4,500 admissions. 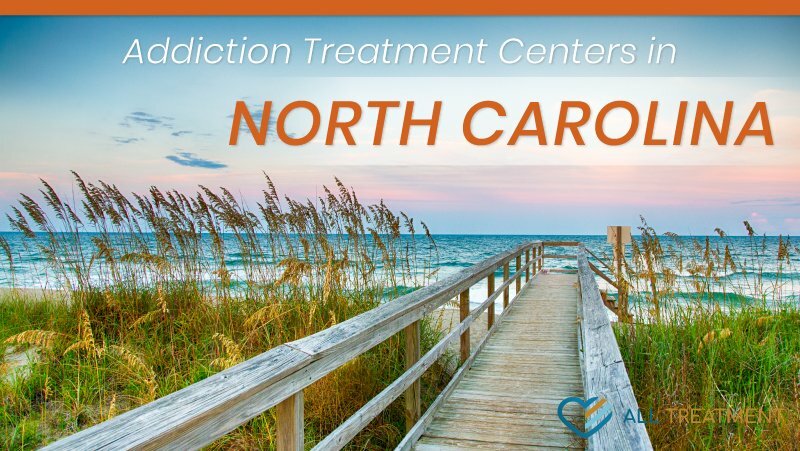 There are several hundred options for additional treatment in North Carolina. With its southern charm and coastal comfort, the state has long been attractive to visitors and tourists.